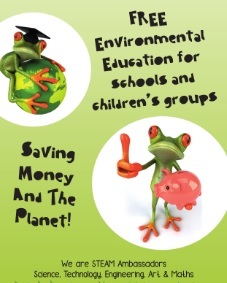 We offer an environmental education programe called ‘The Future We Want – LESS C02’ Sustainable Solutions for Schools. This programme saves schools money, makes money and reduces C02 emissions. 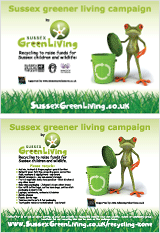 We also offer FREE (to West Sussex primary schools) whole school assemblies and lessons for KS2. Sincerely inspirational assemblies, lessons and workshops for your school prepared and delivered by Carrie Cort, WSCC Waste Prevention Advisor, Guinness World Record holder and Climate Reality Leader (trained by Al Gore – An Inconvenient Truth). Less C02, Less plastic, less waste and a lot more awesome! Innovative and inspirational solutions for a more awesome and sustainable way of living! Take action your planet needs you! For more details about the assemblies and lessons download our tri-fold brochure and booking form. Identify some possible dates, add to the form and email it back to us. It is as easy as that! 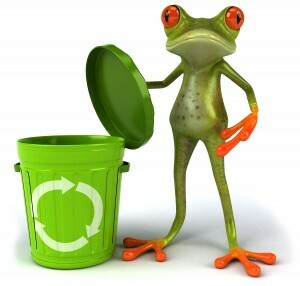 If you would like to set up textile recycling which would help raise much needed funds for your school and reduce carbon emissions, contact Carrie or call 07768 212833. Other green school sessions can be seen here. Carrie Cort has run two morning workshops for Yr 3 and Yr 4 and one morning for Yr 5 and Yr 6, the workshop themes were ‘Dreaming of a Healthy Planet’, ‘The Future We Want’ and ‘Green Inventors’. Through a combination of engaging hands on activities, informative PowerPoints and videos, children have been introduced to Green issues that affect them. The workshops have really made the children reflect on the impact modern life has on the environment and the need to change behaviour to protect their future. They produced work, including a letter to their M.P., which gave them a chance to voice their concerns. “I now know that people are making incredible new things out of rubbish, actually I now call it waste resources”. “I did not realise that humans are using so many resources and that there is a limited supply, now I really understand why we must use less and recycle”. “I loved inventing a wind powered car out of a Pringle tube, 4 CDs, 2 sticks, 1 straw and a balloon”. Other testimonials can be read here.